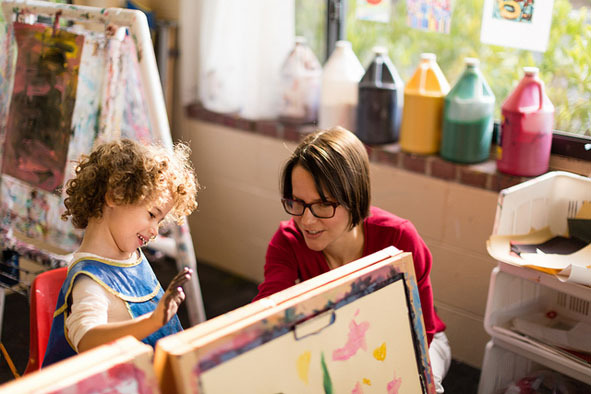 Our early childhood curriculum is rooted in developmentally appropriate practice for all children, scaffolded learning opportunities, and research-based assessment tools. Faculty guide student lab experiences with children. Observation and Screening Tools: Observation and Screening Instruments are utilized to assess children’s developmental progress and ensure teaching practices are implemented that respond to children’s individual growth patterns and learning styles. COR Observational Assessment Tool: The Child Observation Record (COR) is a research supported observation-based assessment tool that includes all areas of development. Children are observed by undergraduate students and teachers. Developmental areas include: Approaches to learning, social and emotional relations, creative representation, movement and music, language and literacy, mathematics and science knowledge. Observations are ongoing throughout the school year and conclude with a summary at the end of the school year. Ages and Stages Questionnaire: The CDC uses The Ages and Stages Questionnaire for screening children between the ages of two to five. All children are screened at the start of the school year and then re-screened by the CDC staff during the school year. 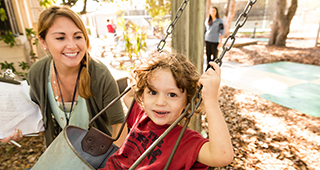 The ASQ screens children for developmental delays in gross motor, fine motor, personal social, problem solving and communication areas of development. Please see the ASQ Web site for a sample screening. Lliteracy/Math Assessment: Learning Without Tears, for children in the pre-Kindergarten year.